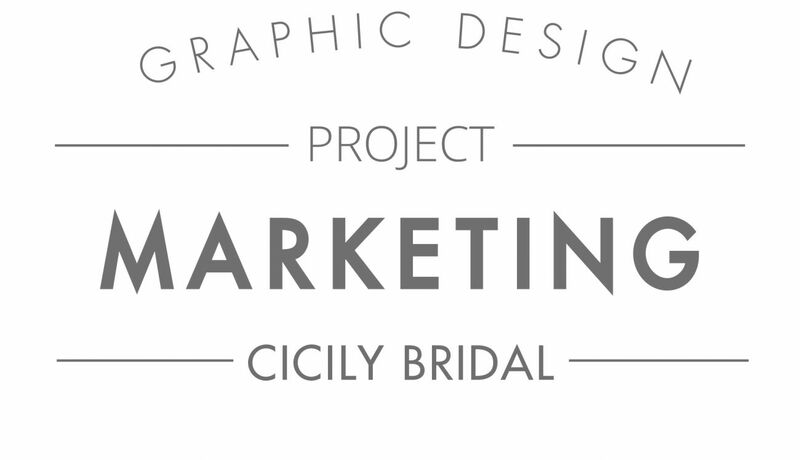 ABOUT: Cicily Bridal contacted Paperknots for help promoting their exclusive and unique wedding event. Throughout the weekend the boutique showcased top designer wedding dresses, along with the opportunity to meet the designers in person, giving it a unique selling point to any bride-to-be. 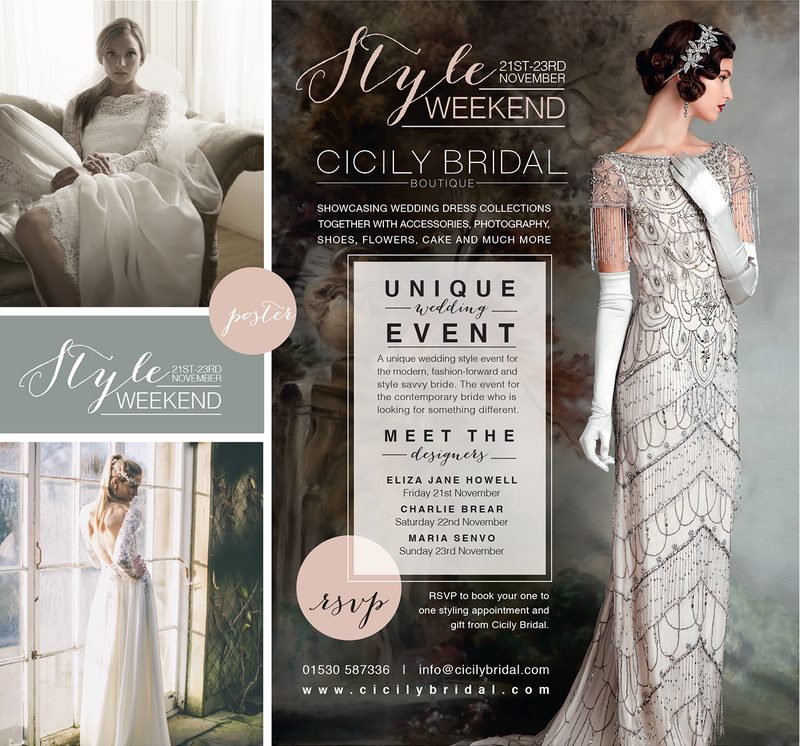 The marketing material needed to reflect the exclusivity of the event and sit alongside the existing Cicily Bridal brand. 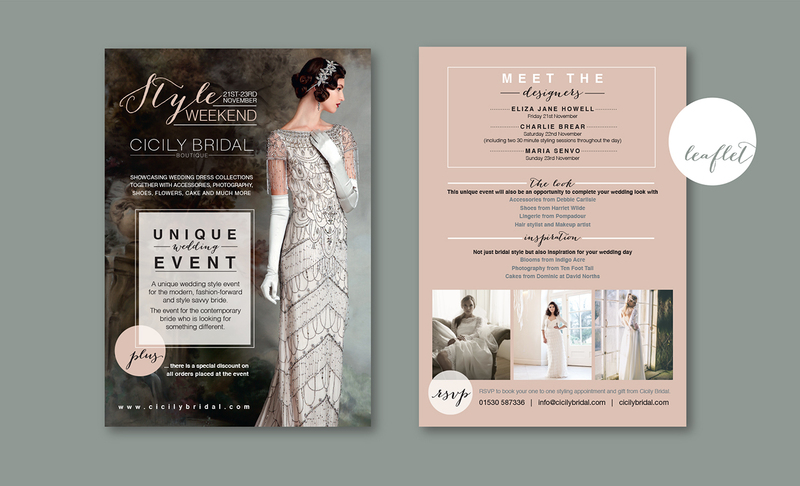 Featuring some of the stunning dresses available, Paperknots created design-led posters and leaflets using muted tones to give standout to the photography. A combination of calligraphy and contemporary fonts gave the designs the stylish, boutique appearance that the event deserved. As there was a lot of details to include the design incorporated clean lines and shapes to section the information in such a way that it didn’t look too copy heavy and also drew the eye to the most important aspects first.